In the big book of careers that aren’t particularly well regarded by the public, the automotive sales representative, or simply car salesman, has been well anchored for a long time. 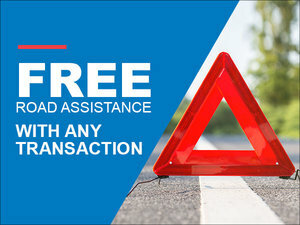 In simple terms, we rarely trust the dealership’s sales rep, and this often comes through as we browse various potential models. It’s therefore rather challenging to be an automotive sales rep, but on the other hand it can be very rewarding. Many salespeople could not imagine doing anything else. The sales representative is a salesman at heart. He loves selling and all the realities that come with it, whether positive or negative. He likes to help and, when we talk about a salesman in the automotive industry, he is generally passionate about everything related to the car world. Being surrounded by an array of vehicles every day is a big plus. 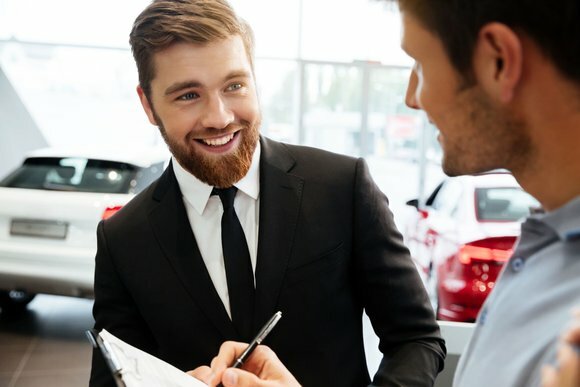 Because of the job’s reputation, an automotive sales rep must work very hard to win their client’s trust. That’s to be expected with all the horror stories going around about dealing with dealerships and car salesmen. Dishonest dealers unfortunately exist. The good news is that there are less and less of them, and it is now almost impossible to pass a lemon to a customer or sell a vehicle that is overpriced. From CarProof to online sales sites, there are so many resources available to consumers. Good representatives know this and won’t try to deceive their clients in any way. However, they must proves this to their potential client. One of the biggest challenges is negotiating. Often, buyers have an unrealistic view of the profit margin a dealer can make for a given vehicle. It is much lower than we think. Cars with a profit margin of $ 5,000 or $ 10,000 don’t exist. That said, the salesman must often work very hard to showcase this reality. Then comes the trade-in car. Nobody is satisfied with the value obtained for their current vehicle. That said, there are subtleties that explain the difference between the amount offered and the value of the car on the market. Firstly, you have to consider taxes. Moreover, we avoid the burden of having to sell our car ourselves. All of this must often be explained by the representative to demonstrate why there is a gap. Then there are also the customers who lie about their trade-in vehicle. A difference of 20,000 kilometers between what is said to the seller and the reality seems a little to some, but it's huge in terms of value. There are also those customers who have just bought their cars and who do not intend to change before several years who like to spend an afternoon at the dealership. In a world where objectives are high and income depends directly on the number of vehicles sold every month, this is not ideal. A sales representative’s day is never the same and there are definitely challenges. That said, for many of them, the satisfaction of helping people finalize the second most important investment of their lives far exceeds the small inconveniences that come with the job. If we want to be a sales representative, we have to love sales, love people, be honest, love cars and be flexible and able to adapt!